Don't let the title of this post fool you; this is not a post about a small bag that is black. This is about the site I recently rediscovered thanks to my best friend, Wendy! 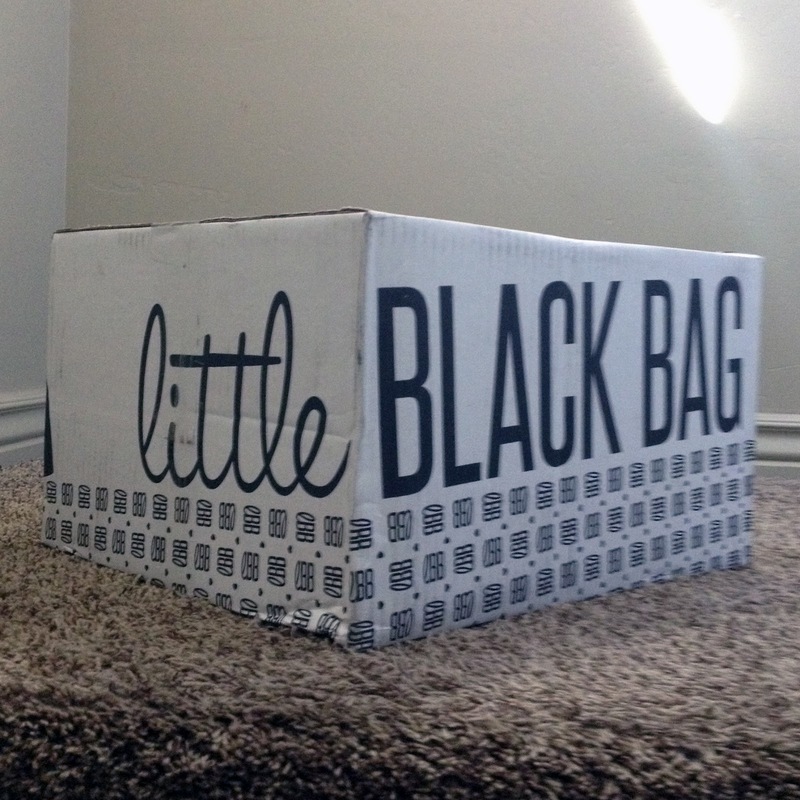 I had signed up for Little Black Bag a couple of months back, but never used the service. Last month, Wendy brought it to my attention once again telling me how much she liked it. 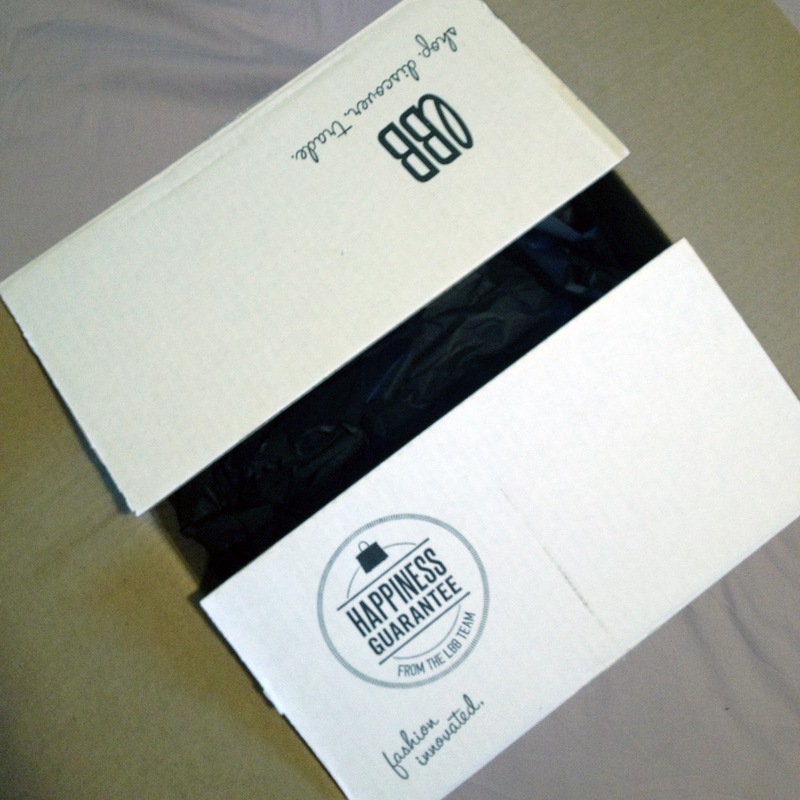 That same week, I received a perk from Klout that gave me an extra $58 dollars worth of product in my LBB. So I took the plunge! Each month, it costs $49.95 to $59.95 (depending on which payment plan you choose) to participate. Little Black Bag asks you to pick your first item and they'll pick another two to four home/beauty/accessory/jewelry/etc. items worth at least $100. I love Wendy's strategy of picking a bag that you'd be okay spending $50 on, that way the rest of the products are just a bonus. LBB bag currently carries brands such as R&Em, Badgley Michska, Kenneth Jay Lane, ncLA, Ben Amun, Gorjana, Betsey Johnson, and more! You won't be able to see the other products LBB selects for you until you purchase the bag, they'll only show you the brand name and the category. Once you purchase, the other products are revealed. Then it's trading time! You have a week to send trade offers to other LBB users in order to try and get products you'll use and love. You'll also be able to reject or accept incoming trade offers. I was surprised to find how addictive the trading process was. It also made me realize that there is probably a pretty good advantage to having friends on LBB and trading simultaneously. I imagine it would be pretty beneficial to joining forces to trade for products that you both want. For instance, if I'm trying to trade bag A for bag B and the owner of bag B really wants bag C that my friend has, she could make the trade and then trade me for bag B. At any point during that week, you can decide you're satisfied with you're bag and close out the transaction. If not, at the end of the seven day trading period, LBB will automatically close it and ship your bag. Ready to see what I got? Keep reading! 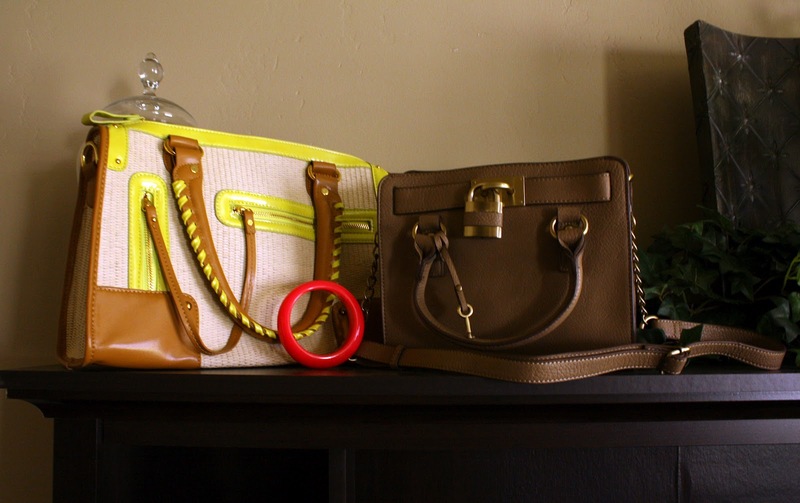 I started out with the Nila Anthony straw satchel on the left, a wall decal, a pair of earrings and a clutch. I ended up trading three of my original products for this Melie Bianco lock & key satchel and neon pink Ben Amun bangle. So what do you think about Little Black Bag? Have you or will you try it? 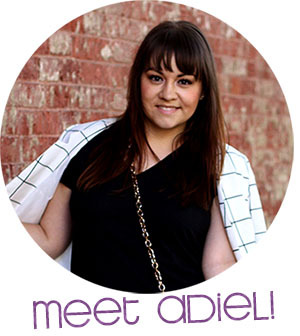 Adiel you are bad news for my wallet...I'm officially not allowed to read your blog anymore! haha jk :-) Really though, this is awesome! I just bought the matching iPad case to my Deux Lux duffle bag...they don't even have it on the Deux Lux website, yay! XOXO! OMG...i saw this perk and REALLY wanted to try it but didn't. now after seeing your review...i am SO tempted!!! sounds like SO much fun!!! Ha! Always happy to enable a purchase! ;) I'm glad you had a second chance at that iPad case! You should totally do it! It's really very fun!